The 10th anniversary season for Naptown Roller Girls is almost over. Ten years of Naptown has been a wild ride. I get chills thinking of how it started with Strawberry Jam saying, "Why isn't there a derby team in Indiana? We should start one!" A lot of us alumni, retired and active, showed up to participate and kick off the season. Of course, one of us couldn't be there. 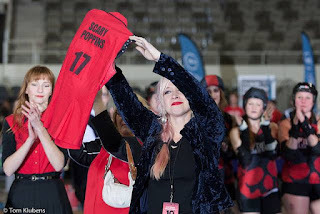 I was honored when her husband asked me to walk out her jersey, but I couldn't do it without crying. But of course, it wasn't all sad! In the weeks leading up to the bout, Naptown produced these awesome videos, talking about how the league got stated. There's only one game left for season 10. The STAR WARS BOUT! (Don't worry, the league gets permission from Lucas and Disney!) 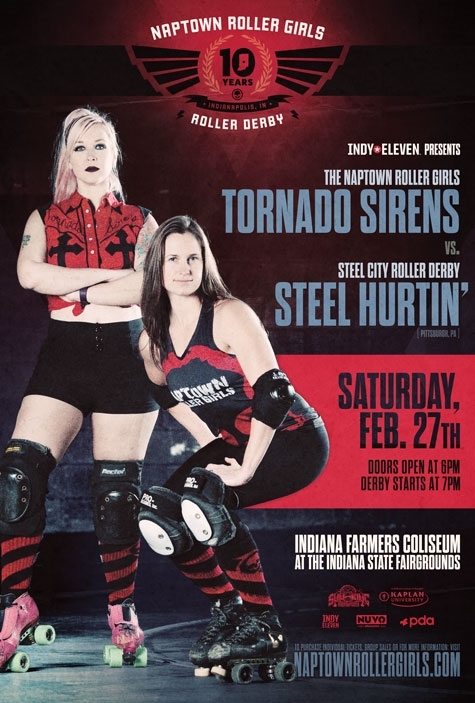 Storm Troopers, Jedi, R-2... it's always the best bout of the season!